Today marks 365 days since I first landed in Bali. A year of living daily, creatively, ceremoniously, adventurously, openly, warmly, holistically, healthfully, and yes gaily (ie joyfully!!). I celebrated by indulging in: an extraordinarily delicious piece of carrot cake (at A’s house), a deep tissue (and deeply painful) massage, and finally dinner down the street with J. 1. Coconut water – not Coca Cola – is the real thing. 2. I don’t actually liv e alone. 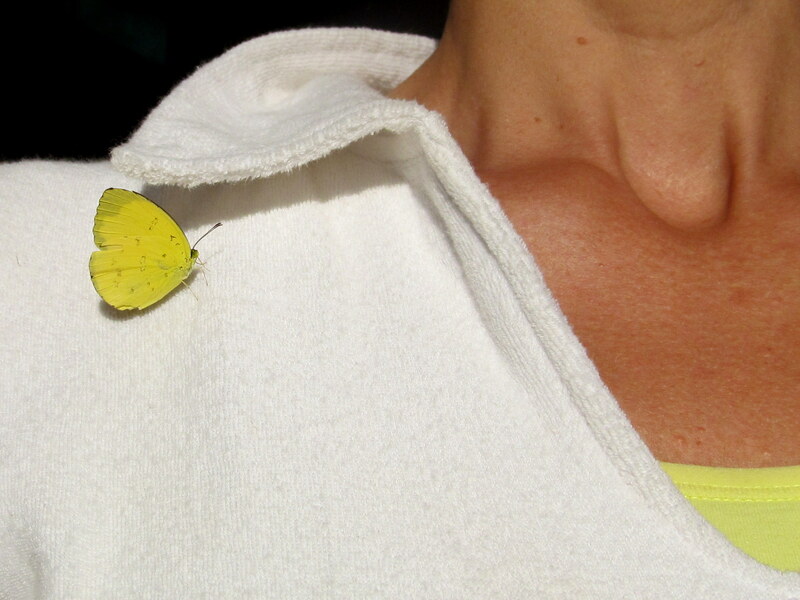 I live with cecaks, tokeks, butterflies, spiders, dragonflies and yes, even the occasional cat. 3. 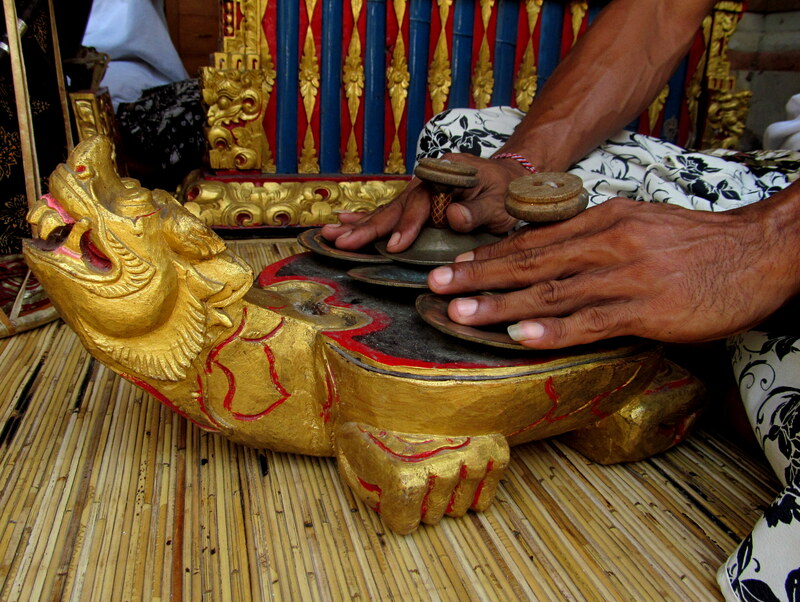 I much prefer waking up to the sounds of gamelan music and priests’ bells rather than an alarm clock. 5. I can manage just fine without a single item of fleece (or down jacket, scarf & mittens) in my wardrobe. Same goes for closed shoes and insulated boots. 6. Roosters and chickens grow on trees. Or, if they don’t, at the very least they like to hide out among the branches and poop on the heads of unsuspecting passersby. 7. A perfectly acceptable way of lulling children to sleep, at all hours of the day and night, is to take them out for a ride – on a motorbike. 8. A Balinese dog is not really a dog; it’s a motion detector (more on this theory later). 9. I’m in good company at the laundry where I occasionally drop off my stuff; the highest-rated restaurant in Ubud does so too. 10. Where else in the world do men sign up for a competition where the grand prize is a motorbike, and the second prize is… a cow?! M. Tov! Hope to visit someday too…. Think of you often. So lad you get to be on this particular journey. Loved what you wrote about your dad, you are so blessed. Keep enjoying it all- your gratitude is infectious.